The Sidhil Premium Crash Mattress is manufactured using a premium grade foam formed into three fold out sections. The cover is removable with a zip closure and washable as necessary. 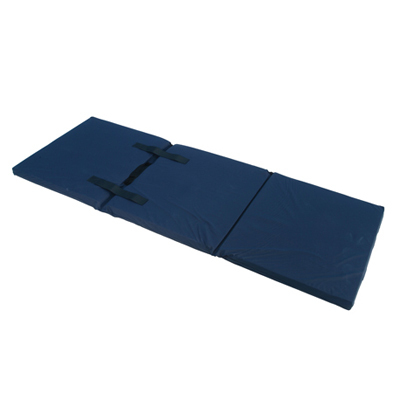 Carry handles and tie straps hold the mattress in a compact form for storage or transport. The stitched cover is manufactured from a two-way stretch vapour-permeable PU coated fabric.